Hi everyone! I have week 33 to share today. In some ways a sad week (back to school) and in some ways a happy week (50th anniversary party)! We were all excited that Pepa came for a visit all the way from North Carolina too. He is my first husband's grandfather, the one that built the wonderful cabin where we stayed on vacation last year. 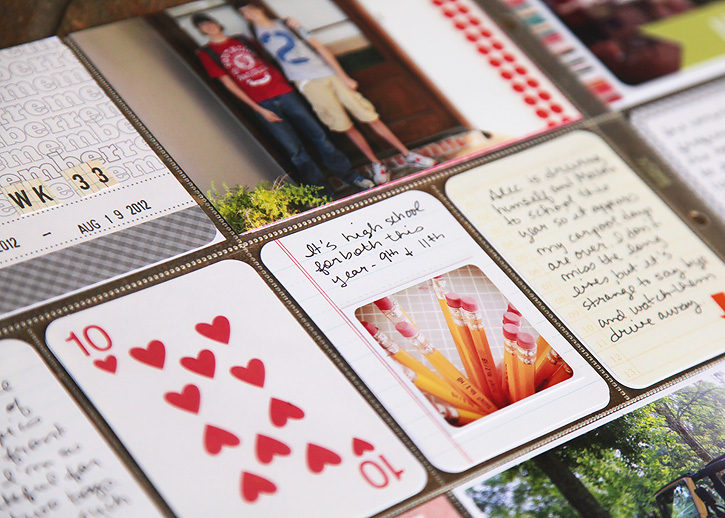 I hope you are all still going strong with your project life albums. :) Do you need encouragement? Just get it done! 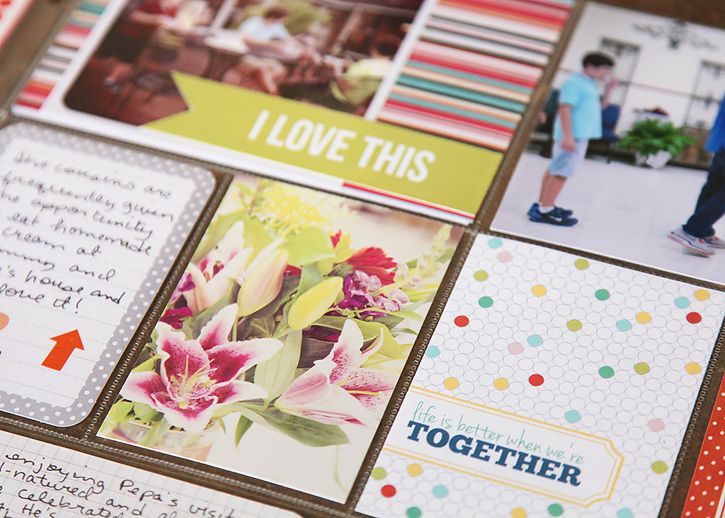 You will be so happy with the finished result. I promise! The Cherry Edition is available at amazon now if you are wanting to get started! Love them, as always! 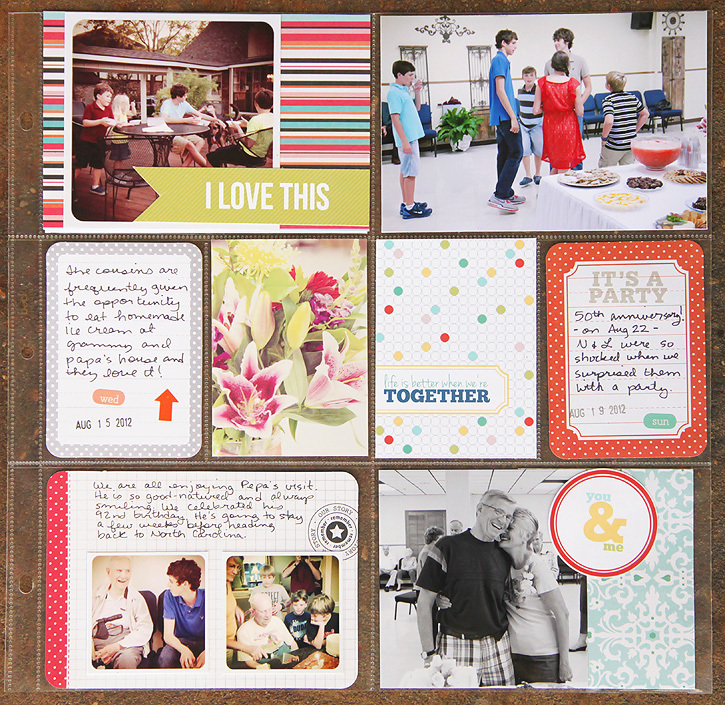 I have been bad about ordering pictures, but have stayed on top of the journaling cards - finally got my photo order in this weekend and everything is up to date! 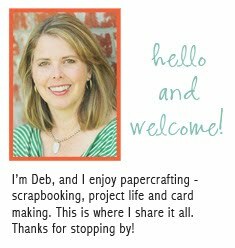 Your pages look so great, Deb! Is that an actual playing card in there? I've been trying to squeeze in some time for PL. 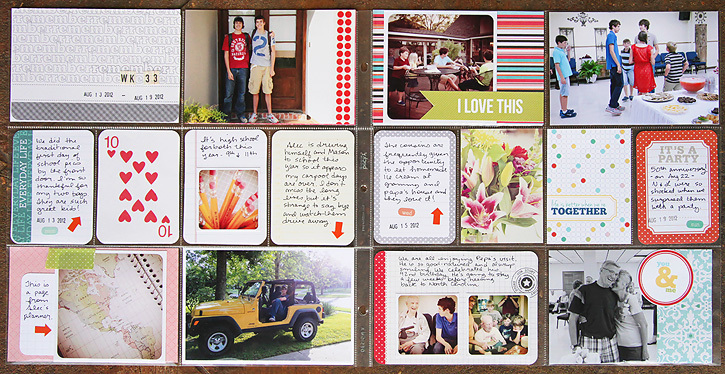 I got the journaling done on a few spreads last week. This week, nothing yet. I just love your pages, I really like this weeks spread. 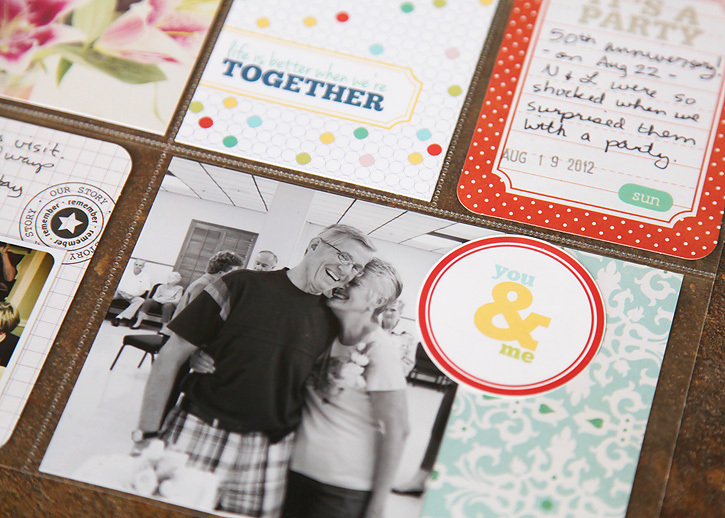 I love he spotted card and the photo you took of the anniversary couple is just gorgeous filled with emotion. Fabulous pictures!! I like your creativity, effort and responsibility. 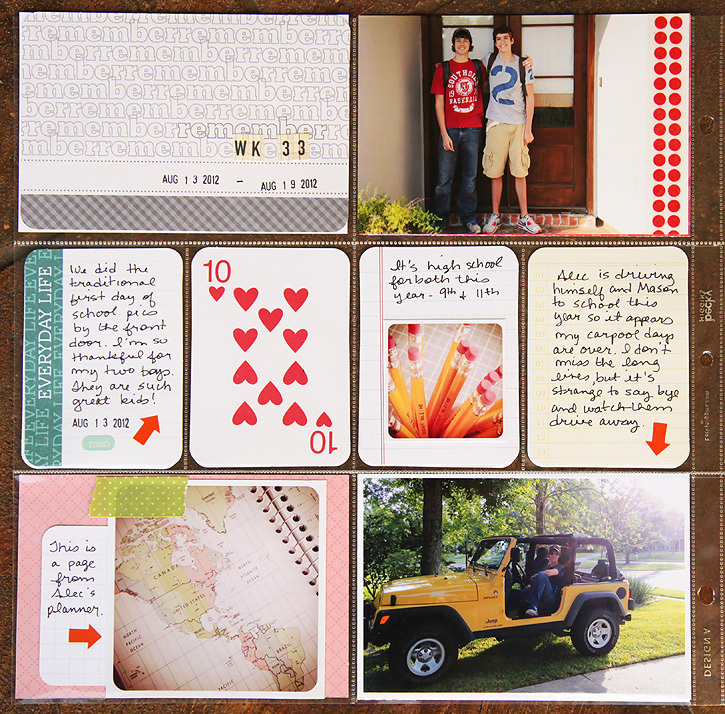 I LOVE the instagram sized photos on the journal cards and on the coordinating paper. 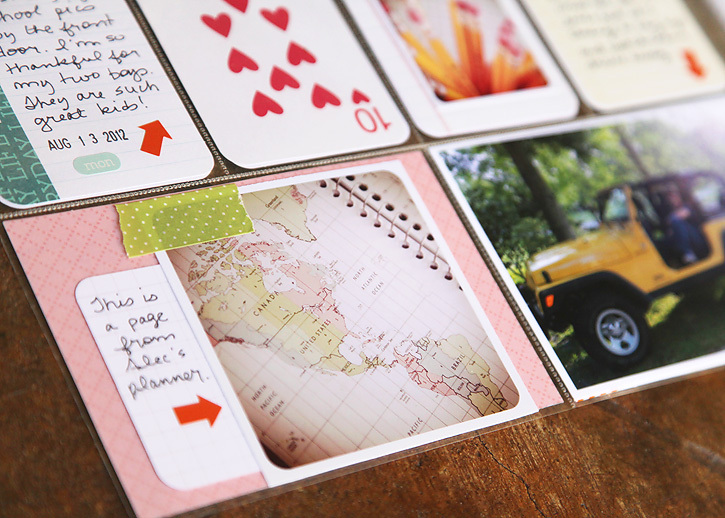 The one of the planner is so great with the placement of the journaling card to look like a tag. I love the banner too. Beautiful! Wonderful page. I love the one of the couple... Just perfect! Everything looks so beautiful! Would love to be creative enough to get my PL to look this good.